Furnace Maintenance that one “To-Do” list item that you keep putting off! We all do it, but do you know why that should be one of your priorities before winter? Check our list of a few reasons why you need to move your furnace up to the top of your list! Reason # 1: Did you install a furnace within the past 5 years? Did you know that most manufactures require you to have your furnace maintained annually by a qualified technician? Otherwise it could void or deny any future warranty claims or warranty coverage. A Sanders & Johnson service technician will be able to spot any issues, advice on potential issues and check your unit from top to bottom. Reason # 2: Your family, yes your families health! A dirty furnace will just recirculate unclean air in your home and could create potential sickness, more colds, and other illness through the winter. Stay healthy and get a furnace check up! Reason # 3: Money, Money, Money! While you may think that you can’t afford that routine check up right now, just imagine the money you could be spending in the future. If a breakdown occurs that will cost time, money and warmth and it could have been prevented with just a little routine maintenance. Bryant® heating and cooling system’s are an investment in your family. With the proper care and maintenance your system will deliver years of reliable performance and comfort. 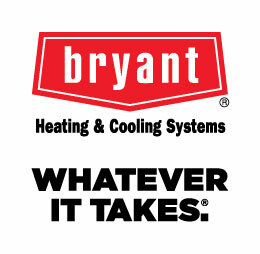 Follow Bryant® recommendations and keep your furnace performing at its best. Reason # 4: Furnace Health: We recommend servicing your furnace twice a year. Once in the fall for total furnace check up and once in the spring for your entire system including air conditioner and heat pumps. There are many reasons to keep that family unit running perfect, including carbon monoxide levels, so give us a call and get your yearly maintenance done now for your families health and the health of your furnace! Need a High Efficiency Gas Furnace?